Contact Us Have a query about a product, service or thinking about joining the Credit Union? Feel free to call us, our contact details are below. Our aim is to provide a quality service and to meet your needs. Where you feel there is room for improvement or you have a concern or an issue that needs to be addressed - please let us know. We welcome the opportunity to resolve your concerns. The Credit Union has developed an internal process so that any concerns you may have about your Credit Union are addressed promptly and also come to the attention of management. In most instances your concerns or complaints can be settled to your satisfaction by simply making us aware of them. You can contact us in writing or by sending us an email to members@transportmutual.com.au. The staff member will note the details of your complaint and action it within 24 hours, wherever possible. If this is not possible, you will receive a follow up call to advise on progress of the investigation into your complaint, including an expected timeframe for resolution. If the complaint is not resolved within this timeframe, or if you are unhappy with the outcome, the complaint will be referred to the Chief Executive for resolution. You will be advised of the outcome in writing. Should there be exceptional circumstances causing a delay we will advise you. 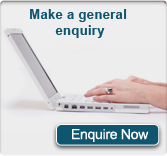 Please use our online general enquiry form to provide us with details of your complaint. Alternatively, please contact using one of the other options listed at the top of this page. We welcome the opportunity to discuss your concerns with you, and to resolve them.